Christmas knitting patterns to decorate your home and tree. 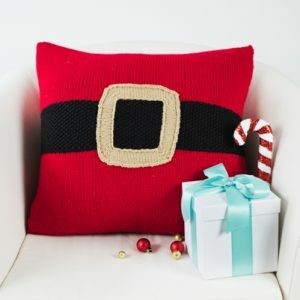 Santa’s Belt Pillow Yarn Giveaway! 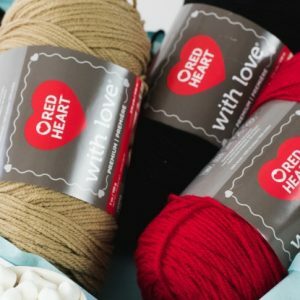 He’s a jolly good fellow alright, and Red Heart With Love is as squishy as ever in this cushy pillow. Enter to win all five skeins to make this pillow today. This pillow is round and jolly, just like Saint Nick! It’s also a great way to get your home ready for the Christmas season. Santa will love stuffing gifts into this ornate stocking! 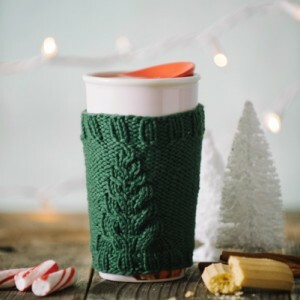 Featuring a multitude of colorwork techniques including stranded knitting, intarsia and even a little bit of duplicate stitch — this project is bound to hold your interest. This stocking also uses the unique “hat heel” construction, which means you start the stocking at the heel rather than working from cuff to the toe. With delicate snowflakes and whimsical trees, this project will make Christmas morning fun for years to come! Make a statement that will light up the room with this fun Christmas decoration. This modern colorwork Christmas tree is knit flat before stitches are picked up around all sides and worked in the round. 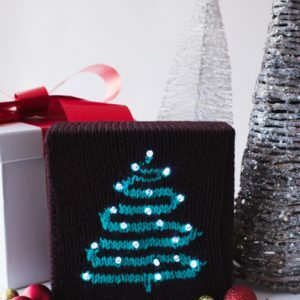 To finish it off, stretch the knit fabric over a frame where battery-powered Christmas lights can be inserted from the back to create a project that literally glows! 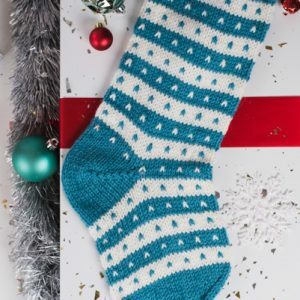 Take a traditional knitted Christmas stocking and add a flurry of little dots. 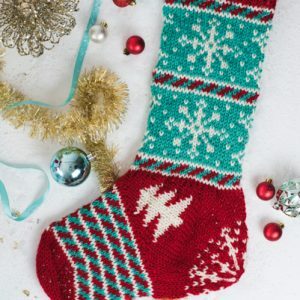 This stocking is knit in one piece from the top down with a simple short row heel. 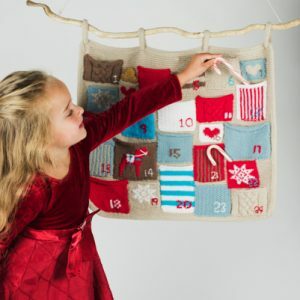 Make your Christmas magical by knitting your very own calendar featuring mini pockets designed to look like swatches from various projects for a playful patchwork look. 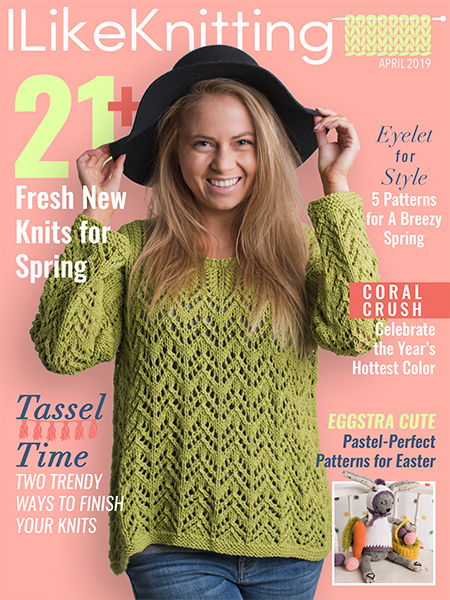 Follow the pattern as is to recreate this look or have fun throwing in your own knit swatches to create a calendar that’s unique to your family. No matter which route you take, this advent calendar will be a staple decoration in your home for years to come. 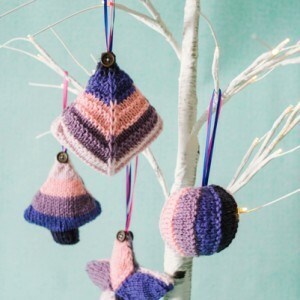 Bust your yarn, ribbon, and button stashes with these fun ornaments. 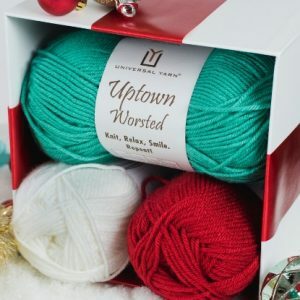 Work in traditional Christmas colors, or work in a color scheme all your own to match your tree. 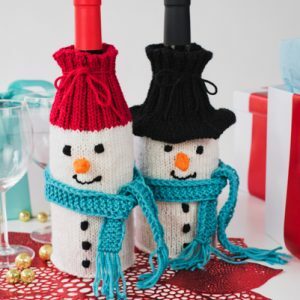 These are also fun to make and hang year-round!